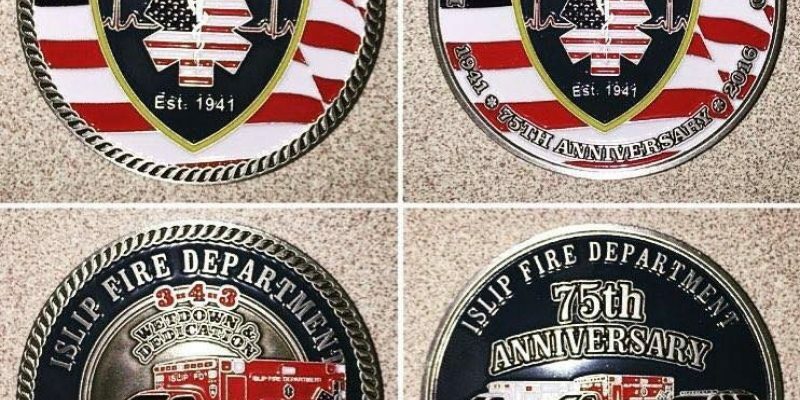 One organization within the Islip Fire Department, which has been called on increasingly since its inception, is the Rescue Squad. 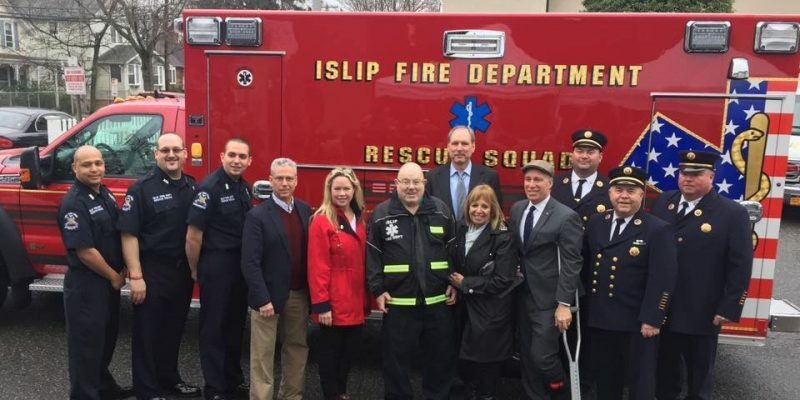 Prior to its formation, the Rescue Squad obtained the guidance of local physician Dr. A. I. Goldschlager, who provided department members with a Standard Red Cross First Aid course. The Rescue Squad was formally organized on April 1, 1941 and initially used the Fire Patrol truck for responding. When required, however the squads equipment was transferred to a GMC hose truck or the Drill Team's 1/2-ton open-body pick-up truck. A new 3/4-ton Chevrolet panel truck was delivered to the Department in January 1949 and the new "Ambulance" was outfitted with storage compartments and stretcher space. A GMC rescue truck, placed in service in July 1970, was capable of carrying four patients stand-up convenience for attendants. This apparatus has piped oxygen outlets, and carried heavy rescue and extrication tools. The panel van was replaced by a new Cadillac ambulance which was placed in service on July 15, 1973. A new Horton modular ambulance on a Ford Econoline chassis replaced the Cadillac on September 7, 1980. This unit allowed for access to the patient from both sides, and was particularly convenient when advanced or basic life support was underway. The rescue truck was subsequently replaced by a newer model built by P&L in 1987. Both of these rigs were replaced by twin ambulances that were christened in March 1988. 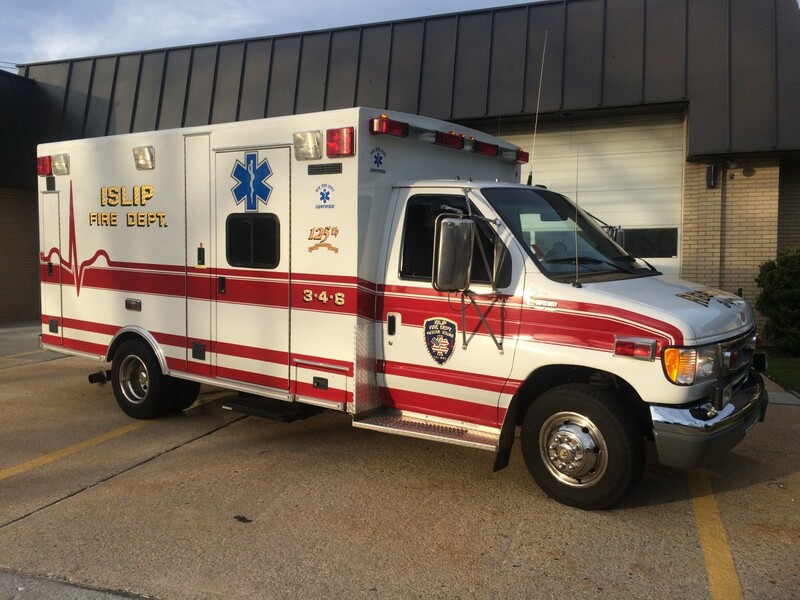 In April of 2016, on the 75th Anniversary of the Rescue Squad one of the twin 1997 Braun Ambulances (3-4-3) was replaced with a 2015 Braun Chief XL Ford F450 4X4 Type I Ambulance. 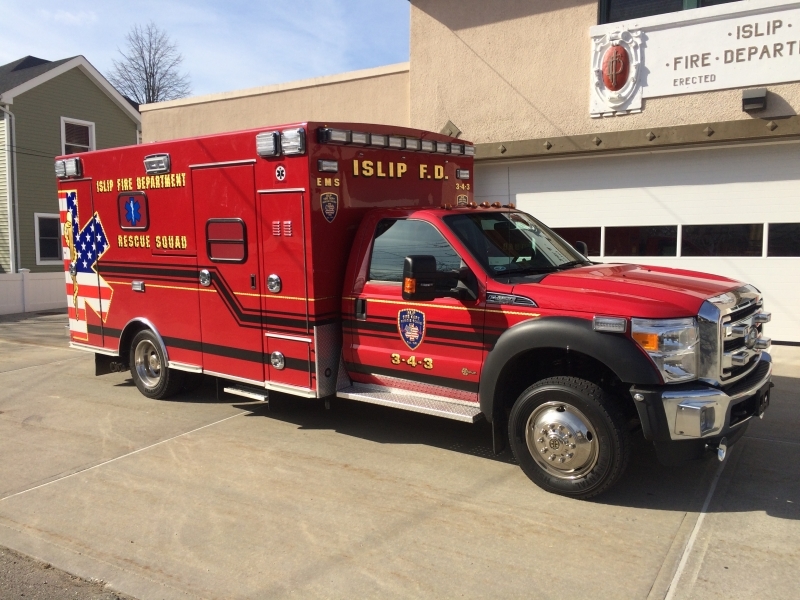 The apparatus currently assigned to the Rescue Squad includes a 2015 Braun Chief XL Type I ALS Ambulance on a Ford F450 4X4 Chassis Designated as 3-4-3, a 1997 Braun Chief XL Type III ALS Ambulance on a Ford E350 Chasis Designated 3-4-6. 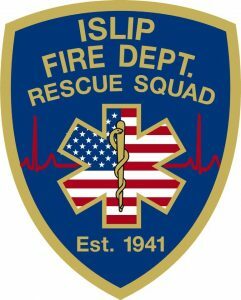 Ambulance 3-4-3 is Staffed out of Headquarters and Ambulance 3-4-6 Responds out of Station 2 on Commack Road. The Rescue squad also currently operates a 2010 Chevrolet Suburban first response unit designated as 3-4-80. 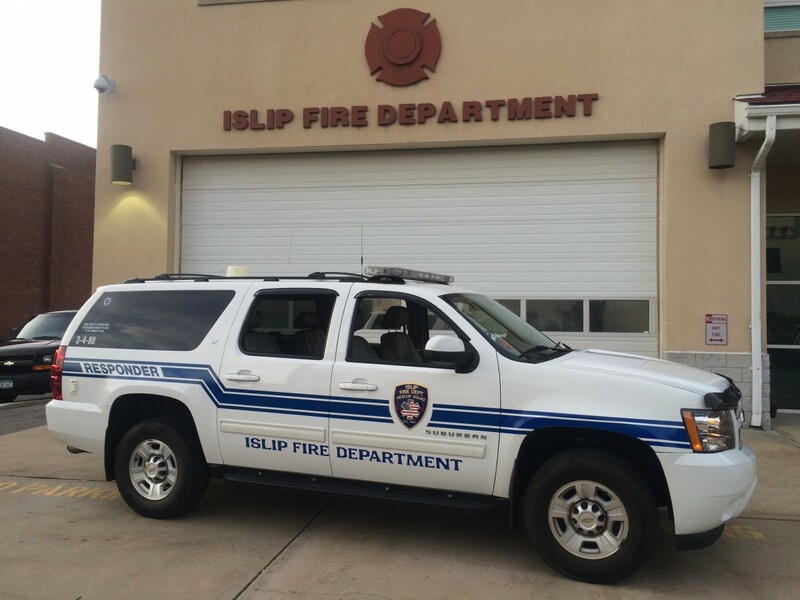 This vehicle is vital to the fast response of both Advanced and Basic Life support for the residents of the Islip Fire District. This vehicle was donated to the department in 2010 by the Bohlsen Family.